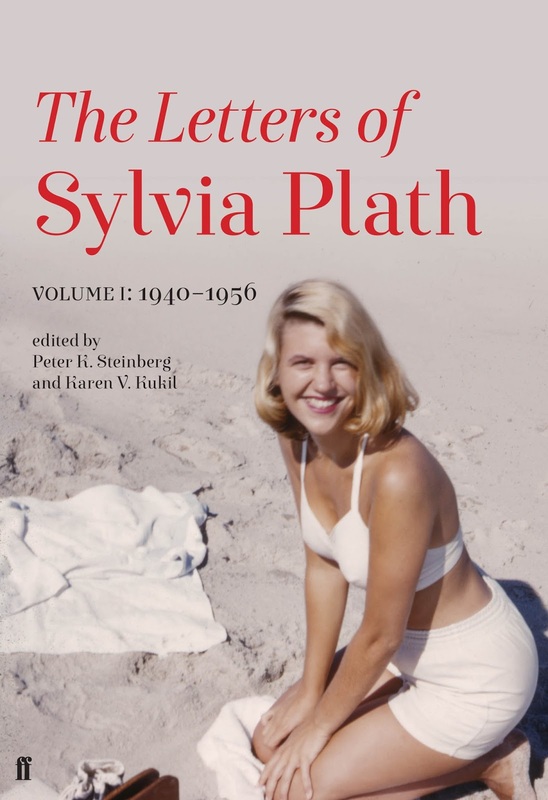 The Letters of Sylvia Plath, Volume 1: 1940-1956 is officially published today by Faber & Faber in the United Kingdom. It is the moment many of us have been waiting for for a very long time. The 838 letters in Volume 1 begin on 19 February 1940 and end on 23 October 1956. The cut off date was intentional as that is the last letter Plath wrote before her 24th birthday. Thus Volume 2, you can deduce, begins with the first letter Plath wrote after turning 24. The book was edited by me (that's Peter K. Steinberg in case you forgot) and Karen V. Kukil. A number of readers of this blog and followers on Twitter have sent me messages and the like that the book is on the way. I find this level of excitement and enthusiasm for The Letters of Sylvia Plath so wonderful. So, thank you all for being patient as we built the book. There is more to come. Buy it from Faber, Amazon.co.uk, Book Depository. The HarperCollins edition will be published in the United States on 17 October 2017. All links accessed 20 and 27 September 2017. Peter K. Steinberg generously proposed that I write this guest post. I met Peter when I started doing research for what was then a vague project: "a film on Sylvia Plath in the places where she lived and with people who live there today". Peter took me on a tour to some Plath places around Boston and Winthrop. We stopped in front of Plath's old house close to the waterfront on Johnson Avenue, at Yirell Beach where he showed me the house where Plath's grandparents lived and at Winthrop cemetery to see her father's grave. The tour went on to Mclean Hospital where Peter pointed out the network of subterranean passageways that connect the different houses. That was in 2012. The film is now finished and is called The lady in the book – Sylvia Plath, portrait(s). 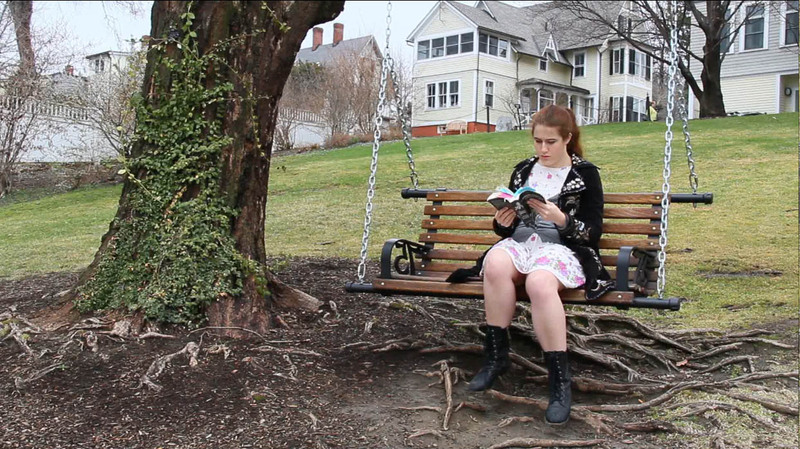 I filmed this at places where Plath had lived or stayed and I filmed women who live there today. They perpetuate her presence and above all her writings. It is a film about how Plath's voice continues to echo with contemporary women's lives. At the beginning of this documentary film project, like at the beginning of many projects, there was a coincidence: In 2008, Rachel, an old friend of mine whom I had met when I was a student in California and who in the meantime had moved to the East coast, was about to get married. 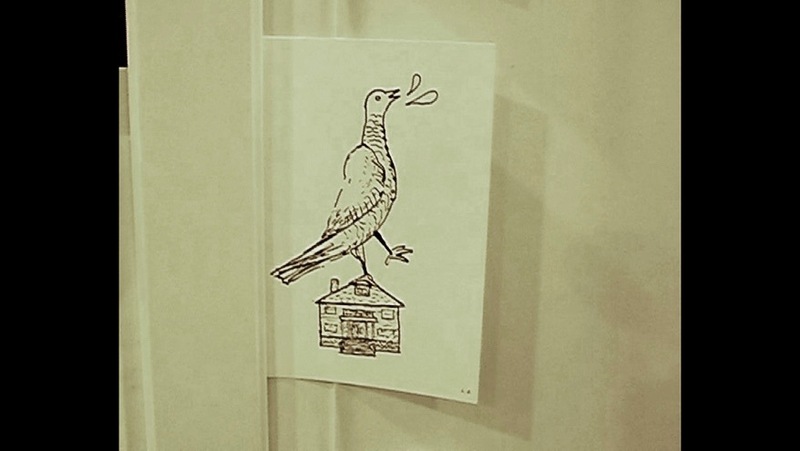 The address on the invitation card sounded somewhat familiar: 24 Prince Street, Jamaica Plain, Boston. The house where Sylvia Plath first lived. When Rachel confirmed that she and her husband Dimitri had in fact bought the downstairs apartment where Plath had lived until the age of three I realized I had found the pretext and starting point for a film about my favorite author. I went to Boston that same year and spent three weeks in the house of Rachel/Sylvia. The Jamaica Plain house with its wooden floors, its spacious rooms and my friend's decoration was a beautiful place for me that summer, but I didn't feel any closer to Plath by being there. I decided to leave it at what it was in the first place: a pretext to make a film inspired by Sylvia Plath. 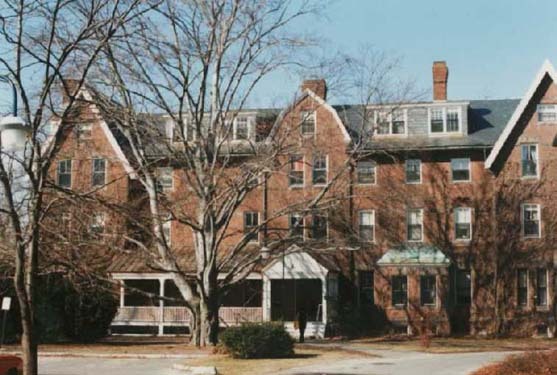 The non-fictional experience with Sylvia Plath continued for me when I spent a week in the Mortimer Rare Book Room at Smith College in front of the original manuscripts of her journals. 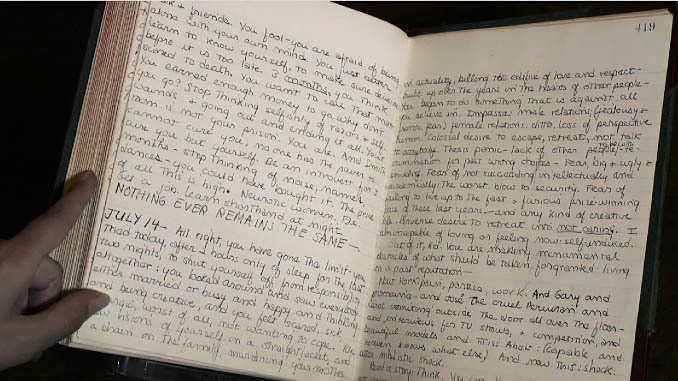 I think everyone who has had the chance to read these hand-written pages, must have had this sensation of closeness and authenticity. I also found that her writings took on a physical dimension. Photographs of Sylvia Plath represent her physical characteristics and her surroundings, but the pages and pages of hand- and typewritten documents are a very concrete by-product of her thoughts and the act of creating. That's why I loved filming these pages. In my documentary you see the hands of Karen V. Kukil, Associate Curator of Special Collections at Smith College, turning the pages. 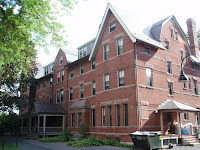 At Smith College, I also met Kyle Kaplan, a student and young writer who that year was living in a room in Haven House. Someone had told her it used to be one of Plath's rooms. 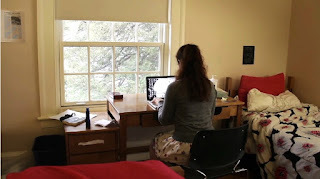 For me, it was not so much the room that made the connection with Plath as this young woman who had decided to become a poet and who was living in this room and writing at its desk in 2014. Today, women who are studying at prestigious colleges are educated to pursue leadership positions. Yet, it seems that a lot of these young women see themselves also as future mothers. Whereas "wanting everything" is not considered inappropriate any more for women as it used to be when Plath graduated, "a life of conflict, of balancing children, sonnets, love and dirty dishes" (Journals, p. 225) is still an important issue for women today even if traditional gender roles have shifted and gender itself has become an option to choose in progressive environments like Smith College, as Emmett Wald points out, sitting in the Lawrence House study room in 2014. 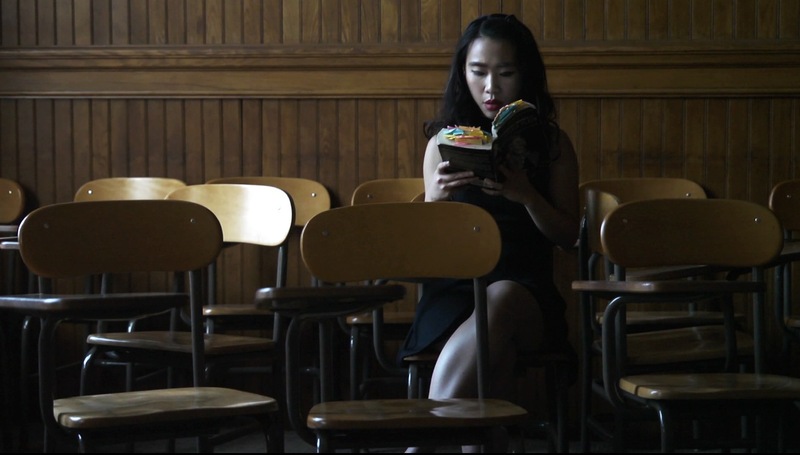 In spring 2016 I met Janelle Tan, English major in her senior year who had come to Smith because of Plath. She said that Plath has been "a big part of what she is as a person" and reading the Journals while living at Smith had helped her to cope with everyday life. Janelle had also started writing poetry when she had discovered Plath. Some images as well as the violent and unapologetic tone of her poem "Motherland" which she reads in my film, remind me of Plath's "Medusa". For a long time, Plath's readers have been stereotyped as unstable and frustrated young women in need for a silent idol. As a matter of fact, young women like Janelle Tan and the other people in my film as well as older women like me and countless other readers (women and men) of Plath identify with her. However, we identify with her writings not with her person and we identify with her because she is all but silent. She has never stopped speaking to us or, in other words, her words have the capacity to "put our feelings into words" as Janelle Tan puts it in one of my interviews with her. "I often felt like the lady in the book, but it is good reading. In the very elaborate Voices & Visions documentary film Sylvia Plath from 1988 (to watch on YouTube) we can see a long and very moving interview with Aurelia Plath and many other interviews with people who had known Plath and/or who had written about her. Besides this film in which we also get to hear a great number of her poems, there seems to be no other documentary on Plath. I did not want to make a film about her life. I think there are enough well researched and detailed biographies out there to be read. Films are not for people who don't want to read. Films are about images and sounds and I wanted to show my searching for images and sounds of Sylvia Plath in places where she had lived and that had influenced her. In my film it's the people who I met at these places who carry something of Plath within themselves as if they were figures in her stories. 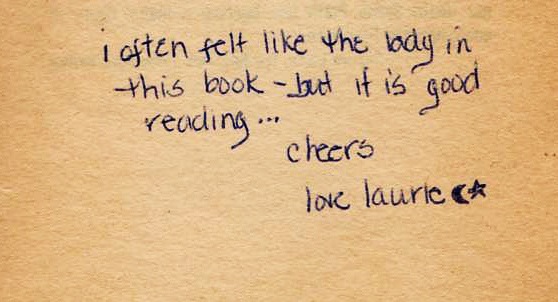 Like the unknown Laurie who wrote in my copy of The Bell Jar, the women in my film, without saying it explicitly, have already felt like "the lady in the book". The lady in the book – Sylvia Plath, portrait(s) has been produced in France by a French production company and a small local TV station. I live in France and so I had proposed it to French film funding institutions who found it an interesting project. Their funding allowed me to do several research trips to Massachusetts. Plath is not very known in France. Feminists know her or people who are into poetry or English-language literature. In 2011, Gallimard issued Œuvres with her essential works: the poems, The Bell Jar, several stories and the abridged journals all translated into French, for some of it for the first time and for some of it newly translated. Plath also appears in a few recent publications on women poets. I hope with this film a French audience will find the way into her books. I also hope an American audience will enjoy the film and recognize one of their culture's most important writers. There will be a screening at Smith College October 21, 2017 for the 20th anniversary of the Poetry Center at 2.30 pm (screening time to be verified shortly before the event) in the Weinstein Auditorium. All links accessed 12 and 20 September 2017. 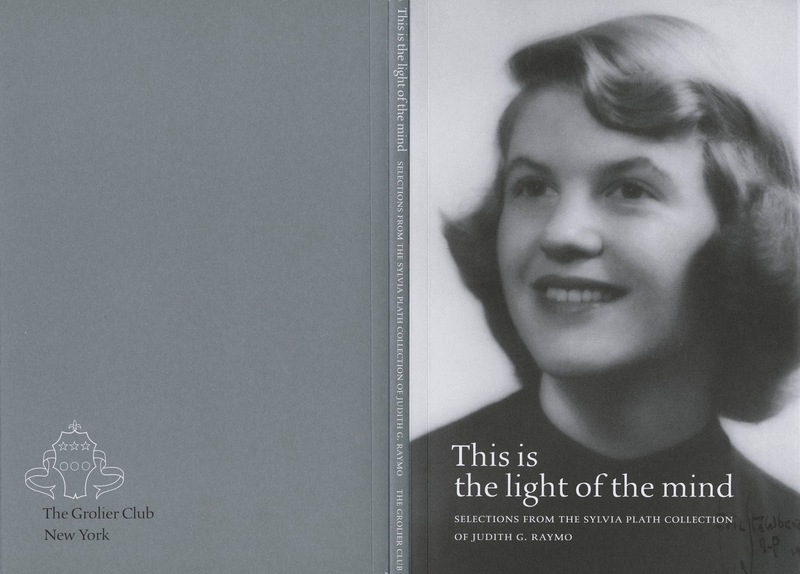 The Grolier Club in New York City will host the exhibition "'This is the light of the mind': Selections from the Sylvia Plath collection of Judith G. Raymo" which opens today, 20 September 2017, and runs through 4 November 2017. On Thursday, 12 October, the Grolier will host a Sylvia Plath Symposium from 6:00 PM-8:00 PM. Speakers include Karen Kukil, Associate Director of Special Collections, Smith College; Peter K. Steinberg, co-editor of The Letters of Sylvia Plath; and Heather Clark, Fellow, Leon Levy Center for Biography, CUNY Graduate Center. Moderator: Judith Raymo. Other details TBA. No charge, but reservations are requested. 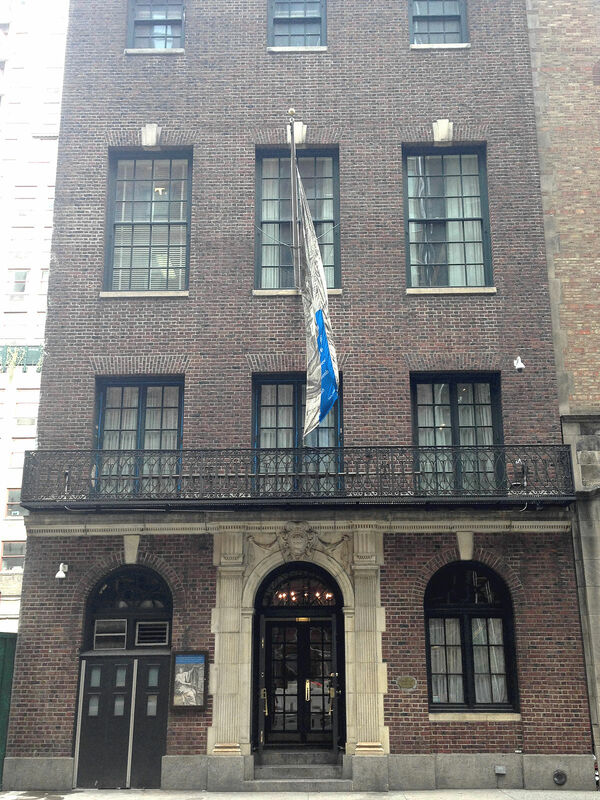 RSVPs from non-members should go to Grolier Club Administrative Assistant Maev Brennan, tel. (212) 838-6690, or e-mail mbrennan@grolierclub.org. 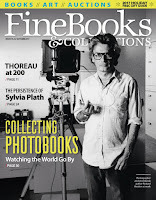 A stunningly produced catalog has been printed and copies will be for sale via Oak Knoll. Looking forward to giving a talk and to meeting who ever shows up! 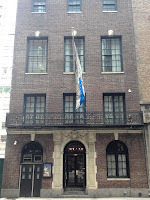 The Grolier Club is located at 47 E 60th St, New York, NY 10022. All links accessed 6 and 20 September 2017. For a long time now, 2017 has appeared to be a banner, monumental year for Sylvia Plath with so much happening. 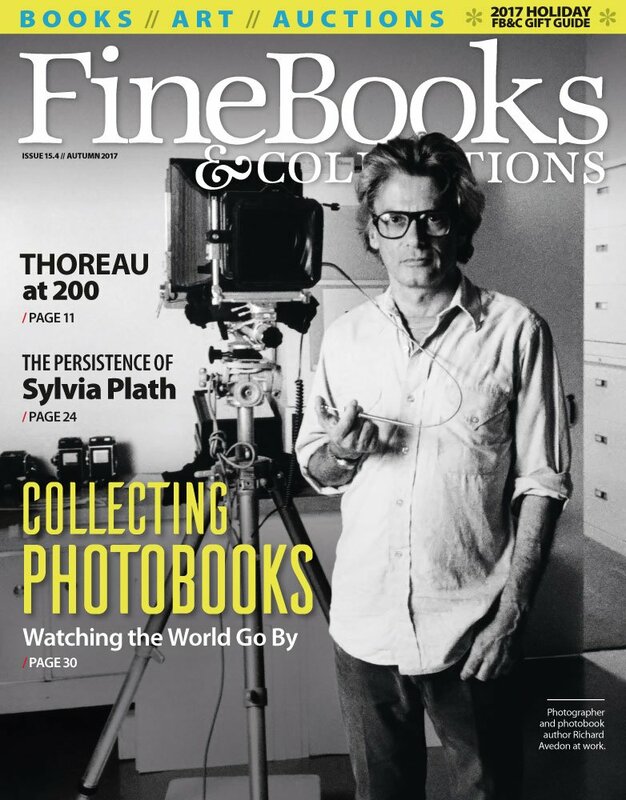 So, last winter I pitched an article idea to the good people at Fine Books & Collections on Sylvia Plath and to my absolute happiness, they said yes and made it a feature-like story. 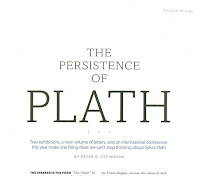 Thus I got to work on what became "The Persistence of Plath" which is out now in the Autumn 2017 issue. My article discusses the National Portrait Gallery's One Life: Sylvia Plath exhibit; a member exhibit titled "This is the light of the mind: Selections from the Sylvia Plath Collection of Judith G. Raymo at the Grolier Club in New York City; and the publication of the Letters of Sylvia Plath, Volume 1. I also mention conference Sylvia Plath: Letters, Words, Fragments. One Life opened on 30 June and runs through 20 May 2018 and by now you know a lot about it. Raymo's exhibit runs from 20 September to 4 November 2017. 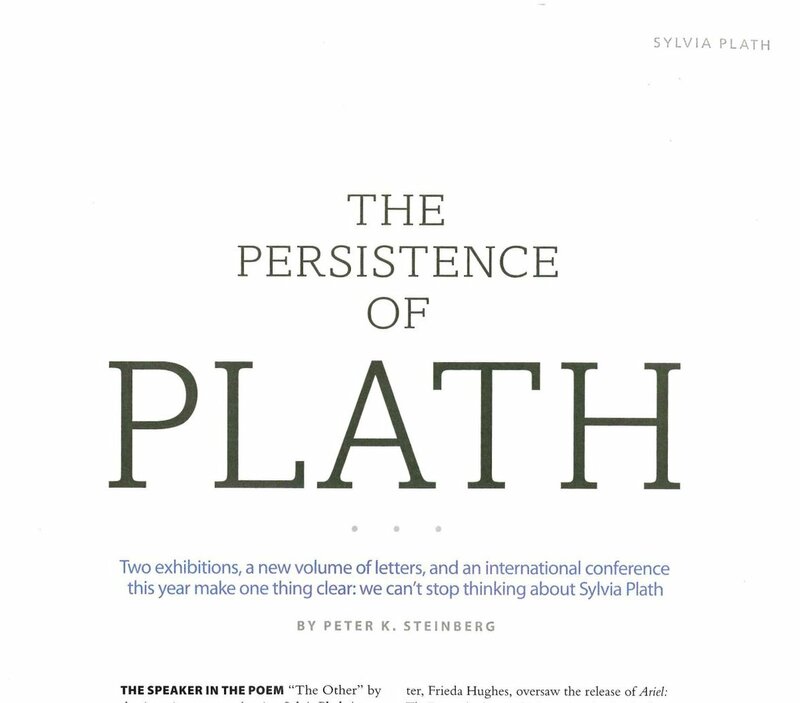 The Letters of Sylvia Plath are published on 5 October in the UK and 17 October in the US. The Plath Conference is to be held at Ulster University in Belfast, Northern Ireland, on 10-11 November. If you want to read more, you need to buy the magazine! All links accessed 27 August 2018.